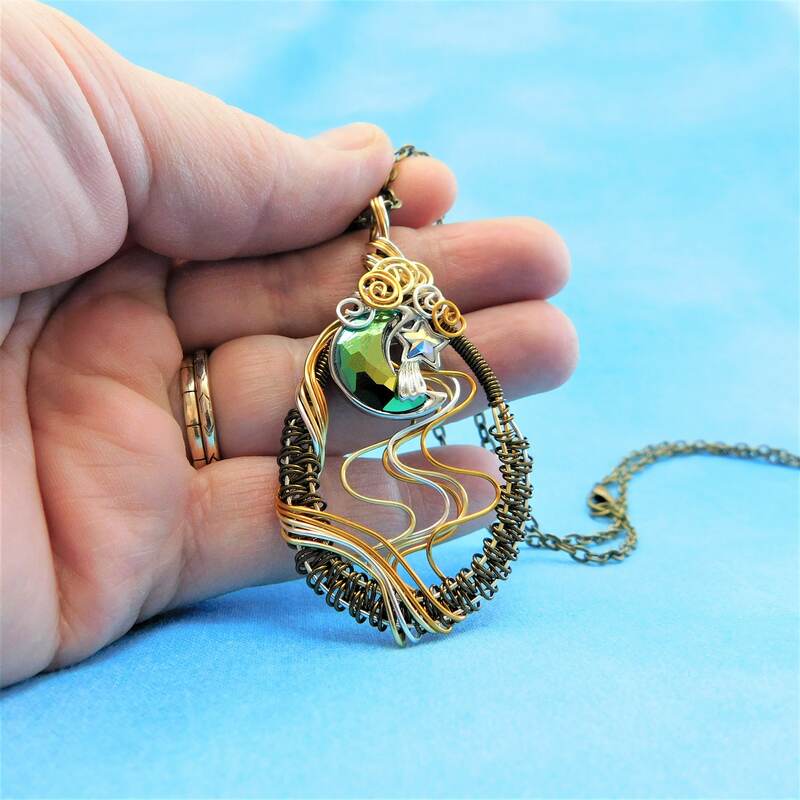 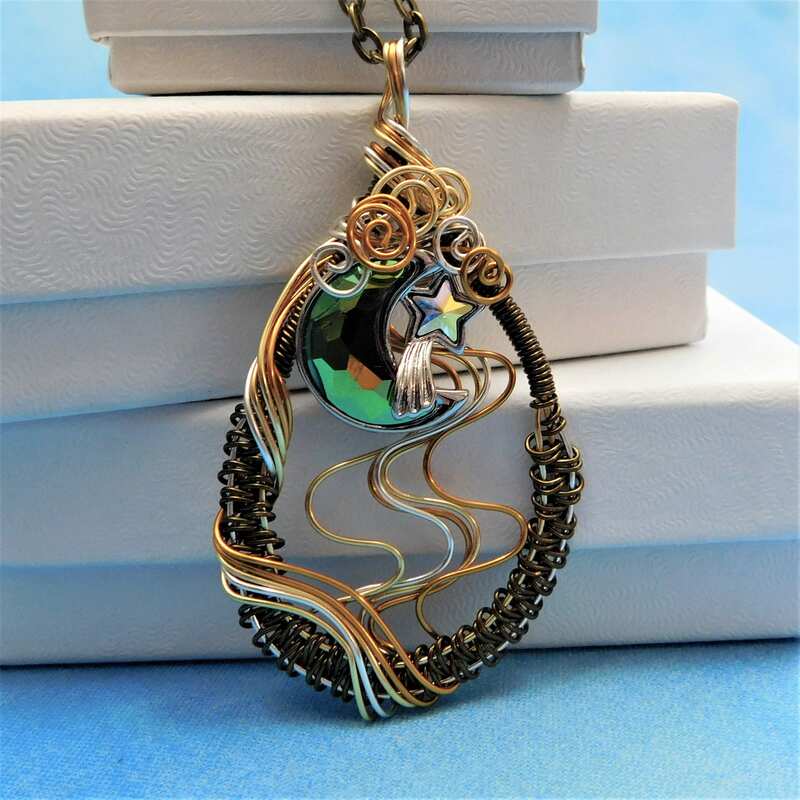 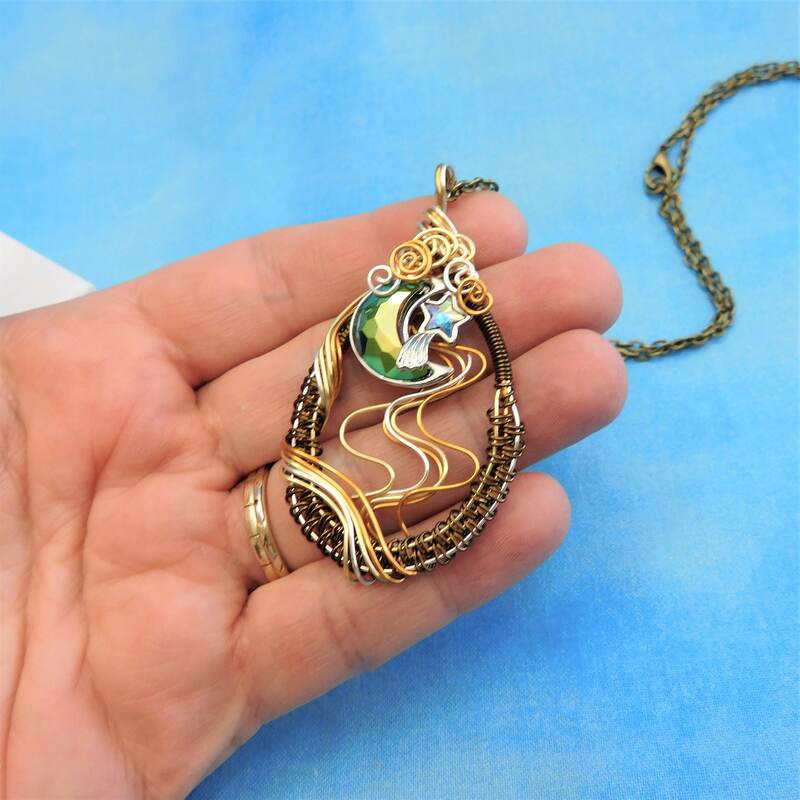 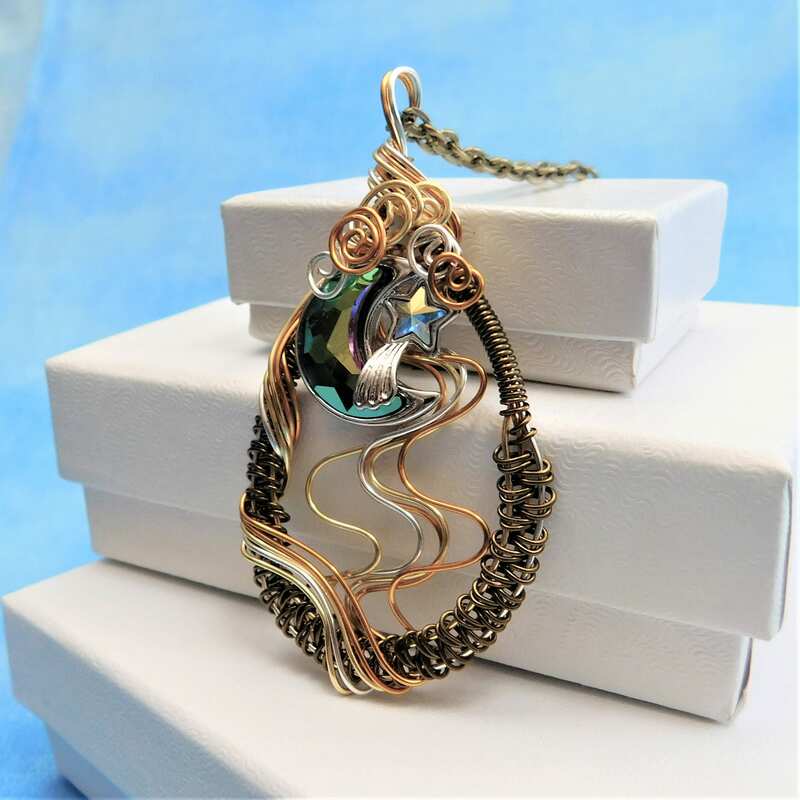 A silver tone metal moon and star with a bronze colored Swarovski Crystal, rests in an artistically hand woven frame of various shades of copper wire, adding dimension and interest. 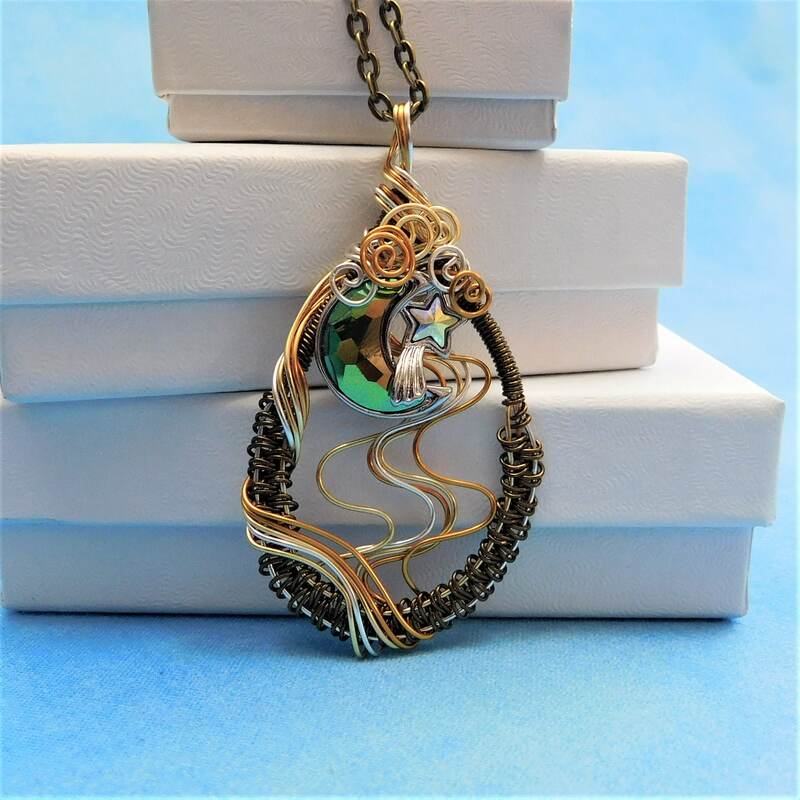 The crystals adorning the moon has flashes of bronze, green, and topaz, making this artistic piece easy to coordinate with many colors of a woman's wardrobe. 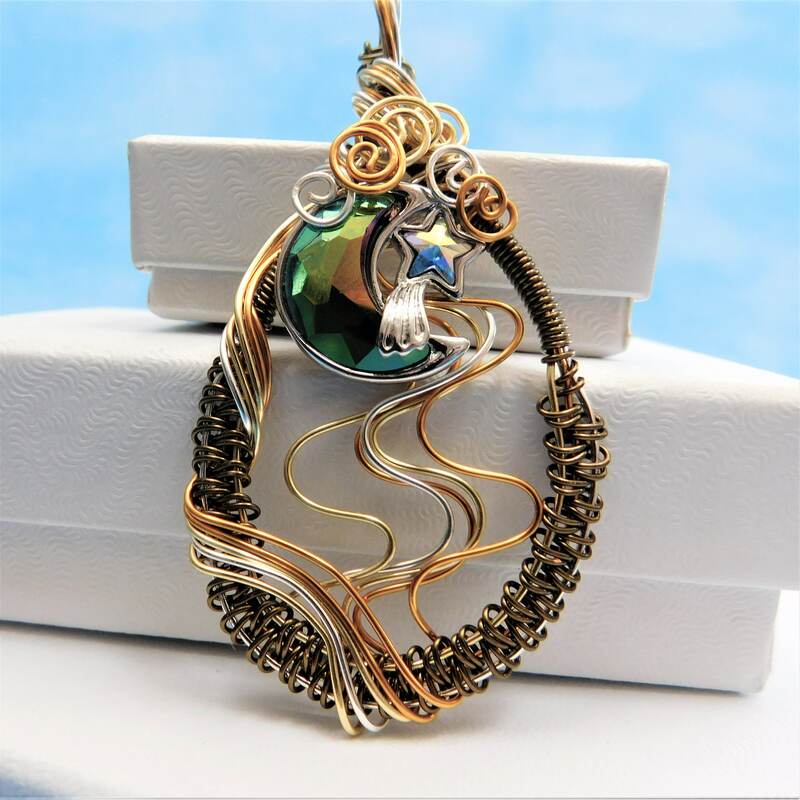 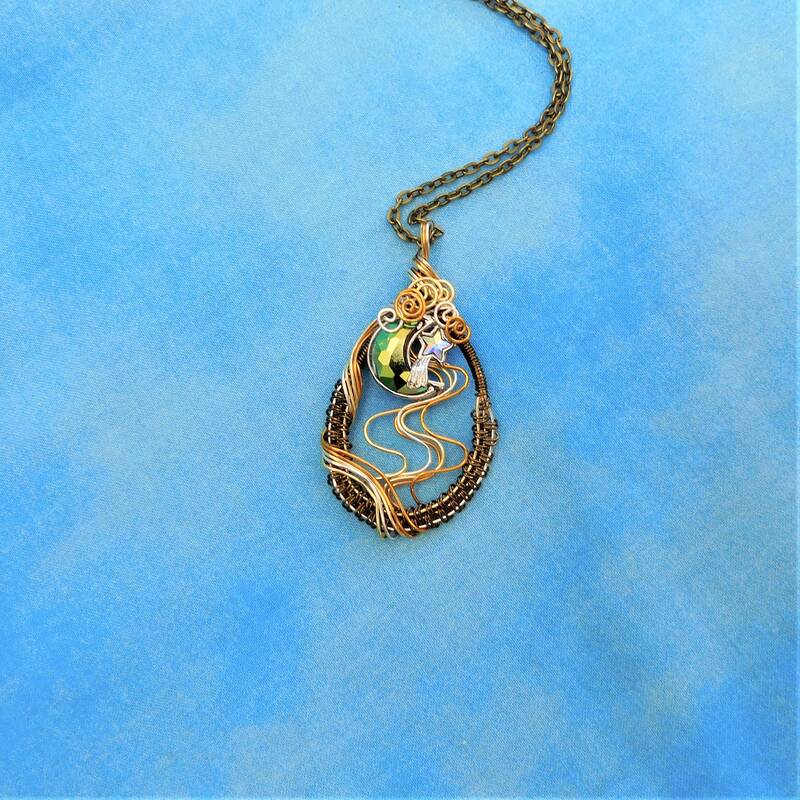 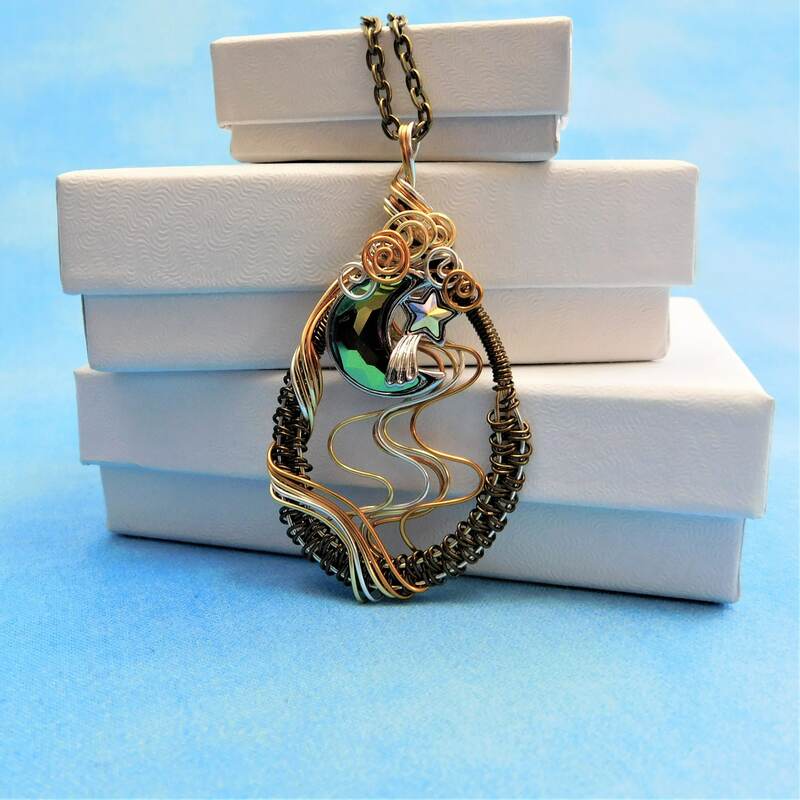 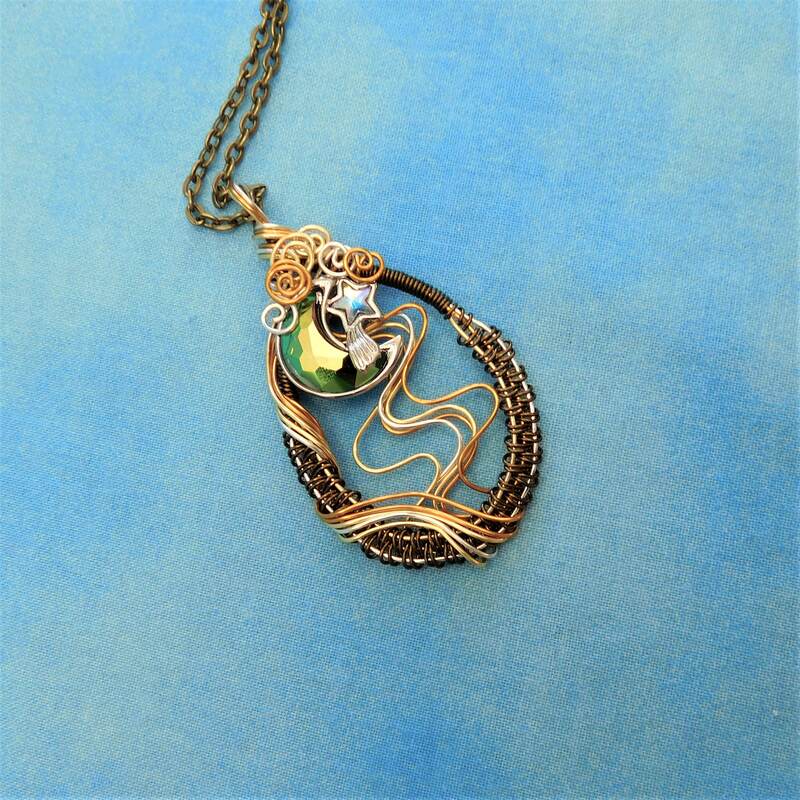 This is a unique, artisan crafted pendant, perfectly suited for a one of a kind lady. 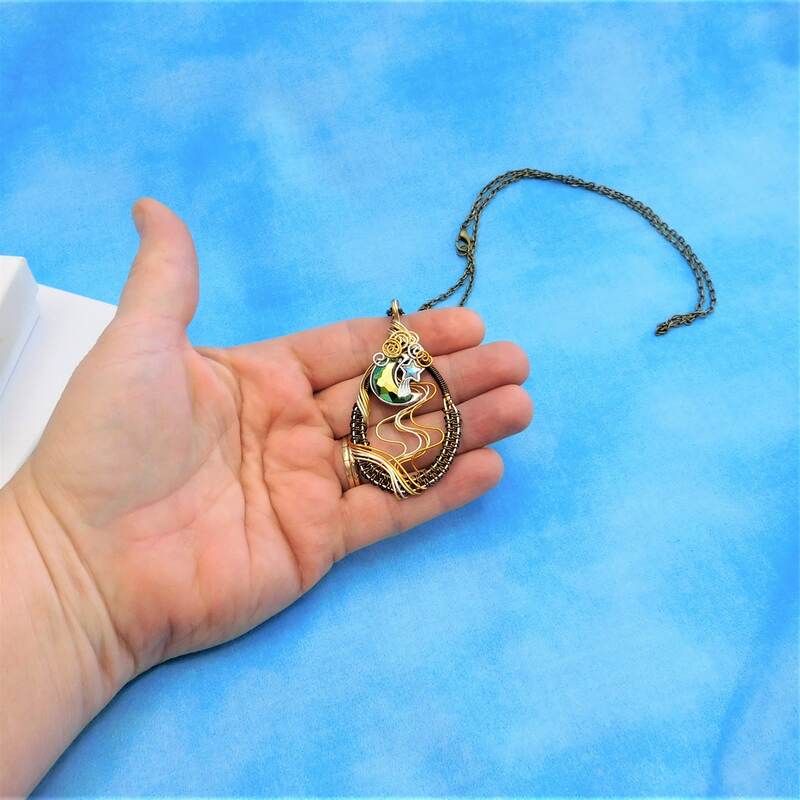 The frame measures 2 inches long by 1 1/4 inches wide and comes with a FREE coordinating chain with lobster claw clasp, measured to your preferred length.